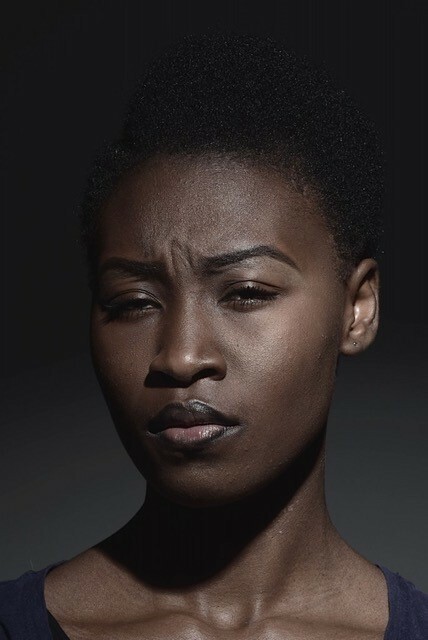 Next in our In The Beginning series, where we interview students in the first term, we talk to Tooting born and bred South Londoner Rayvenn D’Clark, who did her foundation diploma at Central St. Martins after which she came to Chelsea to do her BA Fine Art before progressing to the current MA Fine Art. 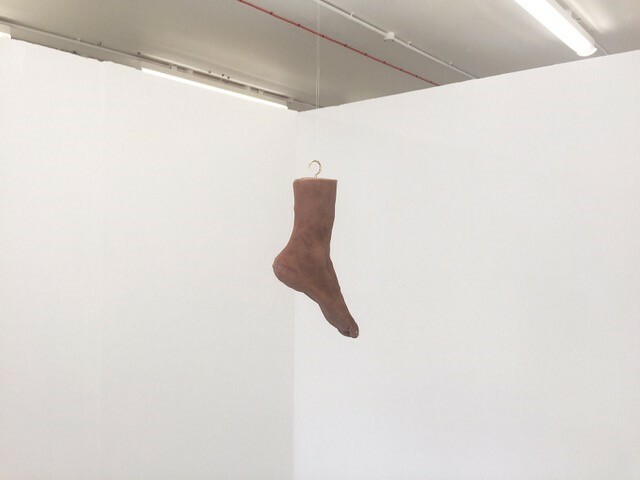 Of all the pieces on display at last summer’s undergraduate show it was arguably Rayvenn’s cast of her foot, suspended in the white exhibition space, that drew the most attention. 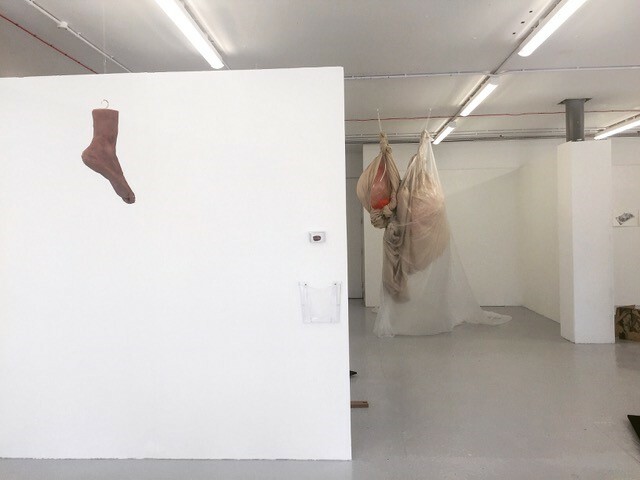 We met Rayvenn to find out what her idea was behind her final piece and explore her experience at Chelsea, particularly the move from BA to MA. What made you pick Chelsea? UAL has a fantastic reputation and it was always somewhere I envisioned myself studying, so I got into CSM for foundation. I applied to Goldsmith and a few other places but actually did like UAL as an establishment, it’s very multicultural and it is very open in conversations and things like that. So, I decided I wanted to go to Chelsea and study fine art as it has a great reputation. Did you always have the plan to do fine art? It’s weird because I came into uni as a painter and drawer, I didn’t know I wanted to do fine art and was maybe geared more towards Wimbledon, to do something very specific. But then when you hear about fine art there is a lot more possibility in the way that you can work and what you are making. I didn’t want to restrict myself to one medium and I knew I wasn’t probably as focused on painting, I just really enjoyed it as a process. So, I was researching and saw Chelsea. The broadness of the course suited me. Can you tell us a bit about how your work developed during the 3 years of your undergraduate? Massively. As I said, I came as a painter and drawer (with a bit of photography), and seeing the breadth of the work around you, you just want to experiment. You want to have a lot of fun with it so I started to look at portraiture but sculptural portraiture. 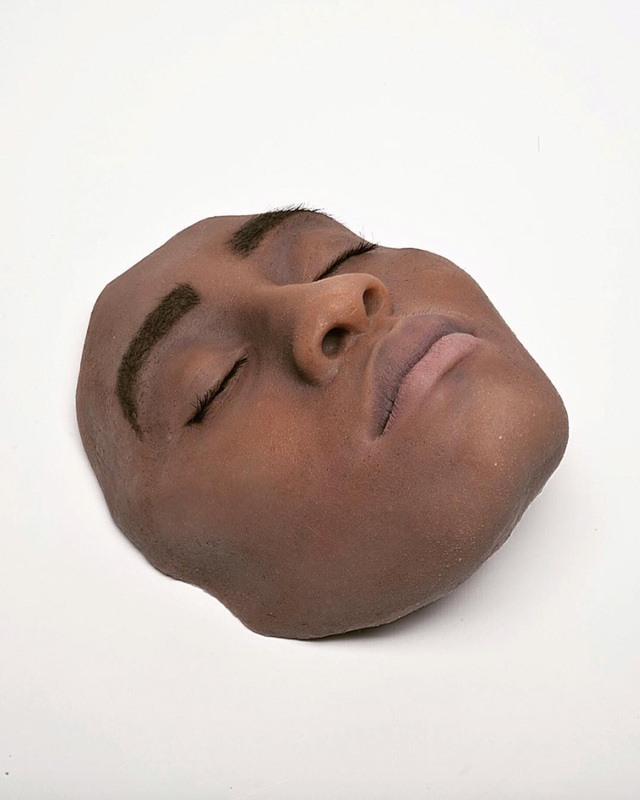 I started looking at busts and casts, and kind of fell into silicon molds and it really took off in the second year. I found myself being quite good at it considering I had never done it before! So, I thought I definitely wanted to see where it would go, doing face casts and body cast. The final degree show was a really good thing for me as it got me a lot of good shows over the summer. I’ll come back to the show later but what was it that attracted you to try a new practice in molds and where did you get those skills? I was very much self-taught! I sat on Youtube for months and just watched videos. It was like my obsession for a good portion of the second year as I was so fascinated by this process. It was so new to me and I don’t know why as I love films so the idea of prosthetics was never out of the question for me but I never thought about it as a technique to use in art. I watched the videos for months and months and then I thought I’m going to try it. I did it and it came out so well! It was a good thing. The workshops are really good, the cast workshop technicians in particular are really supportive. You go there and you tell them what you want to do, and I think the first cast I did was a face of one of the other students who was here. The technicians were great helping me, they booked me in and two of them helped me all day. It’s hard to use those sorts of materials when you don’t know what you are doing at home, so it was nice to have support in the college while I was doing it for the first time. That takes us nicely to your piece for the final show; can you tell us a bit about that? I think this is such a strange story and my tutor definitely didn’t understand it, which is fair enough as it can get a bit lost in translation sometimes. So, I was thinking I will just do what I want to do as it was the final show and I was leaving the course. 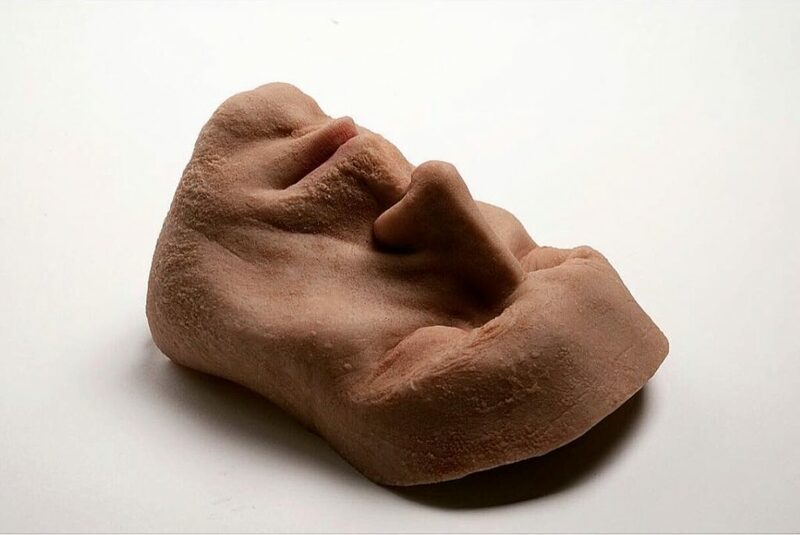 I was thinking for months I don’t want to do a face, I don’t think I have the time to do a whole body, so I ended up casting my foot. 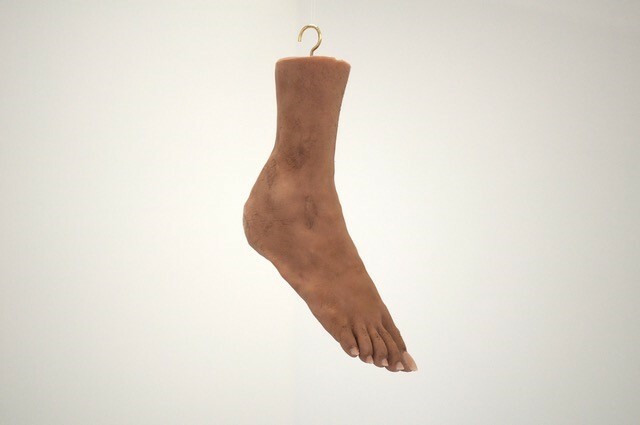 It was such a strange thing to have this abstracted foot in the space, the idea of hanging it in the space. It all came together quite organically and very quickly before the show because a week or two before the show I had no idea what I was doing! I just had this foot that I made and my tutor was like, ‘I don’t understand’, and I was like ‘this is it, the final thing’. It’s a piece that really needs to be seen in the context of the space because a lot of people were drawn to it. So, what was the idea behind it? 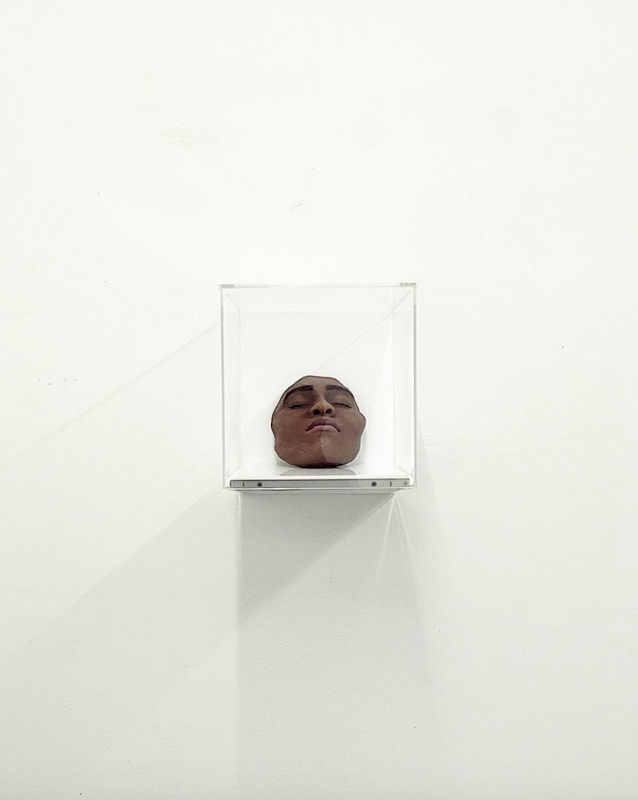 It sounds really weird but despite how multi-cultural UAL is there is still an irregular position of black artists in general, in the mainstream art market. 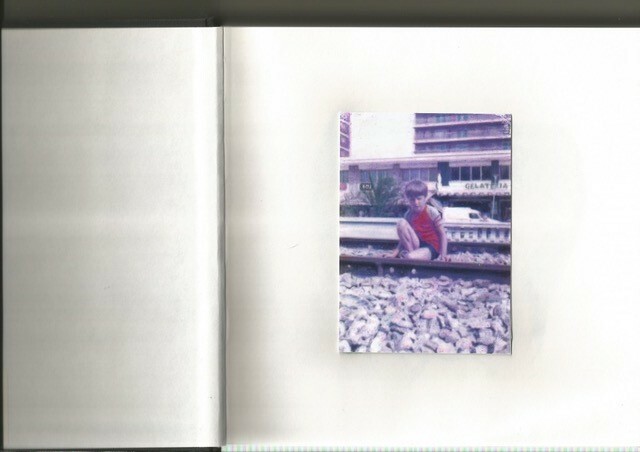 Making the piece was to imply my irregular position still, as a student and practicing artist in the market in general. The idea of this balance of power between invisible and hyper-visible at the same time because of what you do. I think it was about putting this very pristine and odd thing in a very white, uncontaminated space and allowing it to be within itself. 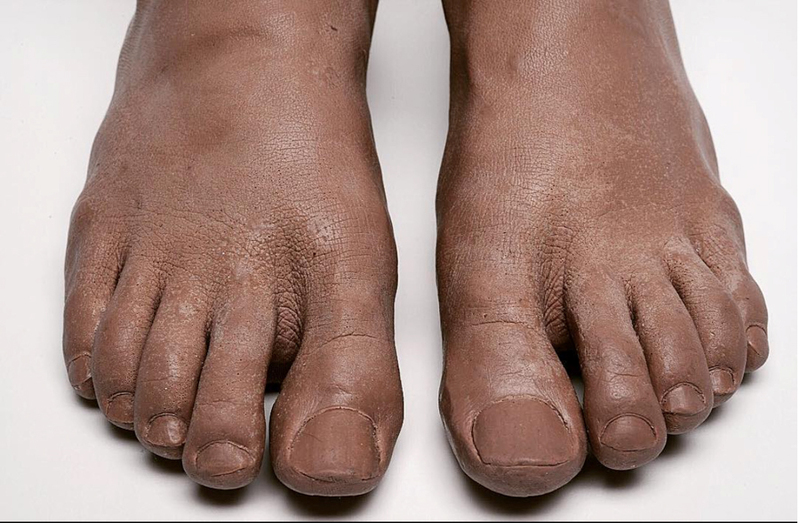 That’s interesting because you have a foot, which isn’t an odd thing in itself, but when you put it in this space it stands out and I think that is the comparison to black artists, whereby they may be invisible but as soon as they are noticed they stand out because certain things are expected of them. Definitely. That categorization alone you have to perform. If you are a black artist there are not a set of criteria but things you are always talking about and I think it is a good thing. As a group, it does empower you but it also restricts you in a way because it can take away the individual motivations and ideas behind the work. It’s a weird sort of balance. At the recent Soul of a Nation: Art in the Age of Black Power exhibition at Tate Modern there was an interesting point around the mid 70s to early 80s where a debate opened up around whether black artists had a responsibility to address issues of race. There is this balance you have to find and I think definitely being at UAL I have to admit in the beginning I didn’t want to be called a black artist, I wanted to just be an artist. But as you go on you have to change your thinking. I don’t think it’s a restriction, it’s a way to describe and define you but then obviously you can branch out, it’s not all you do, it’s just your definition in the first instance. Towards the end I was like, ‘yes, black artist. Let go, let’s do this!’. I think that’s great that you actually engaged with that and then got to a point where you knew what you wanted to do and what your position is. And now you are doing a masters so what was the thinking behind that? I’m a bit of a nerd and I like being in education. I think being in such an establishment (UAL) in London where the art market is so prevalent it helps keep you on top of things and on top of exhibitions. It’s nice to be around like-minded people so I wanted to go on and do a masters, where you figure out your practice even more. We have a research week coming up so I will have more time to make more work, go to exhibitions and do more research. I think it suits me very well. In terms of a comparison between BA and MA is the MA more theoretical? I think so. More than anything I find it more self-directed which is a strange thing to get your head around. At BA you are definitely hitting a lot of deadlines and the vast majority of the time you are told what you need to do and the criteria. But with a masters you have done the BA and you should know what your practice is about and what your interests are. You will be guided while you are here but you also need to go out into the real world and do your own thing. What are you plans once you have finished your masters? I do want to do a PhD but I think for my sanity it would be good to have a tiny break! A year or so just to figure out things a little bit. It would probably be quite unrealistic for me to bounce into a 3 year PhD so I might have a break but I don’t know. I might apply and defer it for a year, I will see how I feel. Outside of the course what else have you enjoyed about your time at Chelsea? I think the people you meet. You can be sitting down randomly in the canteen and you start a conversation with someone and they become someone you find you have similar interests with them and you end up going to things like talks with them. It’s nice to be on campus because you meet people I don’t think you would ever have met not being in UAL. I guess from that you might have your eyes opened to other things. They might be going to talks you haven’t heard of or you’re introducing them to things. Definitely. I think at masters level you collaborate so quickly with other people. I think at BA you’re still figuring out what your practice is but at masters you know what you are doing. For example I can have sculptors coming up to me and asking me to help or photographers and videomakers and I will go and ask them for help, it’s really nice. Those interactions might start up an exhibition so you never really know what might happen. …I’ve got a few coming up. Since the degree show its been crazy, I’ve probably had about 6 or 7 towards the end of the year. The degree show work is the main thing that attracts curators in but once they see my portfolio they are asking for pieces I didn’t even think they would want. So clay moulds, they might want those rather than the actual casts. They see the degree show work and when I’m talking to them they may think something else I’ve done is more relevant. Do you have any advice for others wishing to pursue a BA or MA in Fine Art? It’s a long process and you are going to moan and cry and pull your hair out! But it really is worth it. Once you figure out what it is you want to do and how you are going to get there it is so easy. It is a long process though! It’s a process of not even making your work, it’s about finding yourself. Once you have a better idea of your motivations and what your interests are the rest becomes very natural. An open-concept exhibition that explores topics relating to Social Issues, Feminism & Sexuality. Selection is open to artists working in painting, drawing, sculpture, installation etc. for possible inclusion into the exhibition in Shoreditch, London in January 2018.